Saturday night’s NJPW G1 Special in San Francisco will undoubtedly go down as one of the best New Japan Pro Wrestling events in recent memory, with excellent matches, exciting moments and enough twists and turns to leave us buzzing for weeks. Throughout the show we saw Juice Robinson’s emotional victory winning the IWGP U.S. Heavyweight Championship, the Young Bucks tearing the house down with Los Ingobernables de Japon, and a brutal battle over the IWGP Jr. Heavyweight Championship nearly leaving Hiromu Takahsahi and Dragon Lee in the hospital. But despite all that, all anyone has been talking about since the event’s conclusion is the complete and total implosion of the Bullet Club. 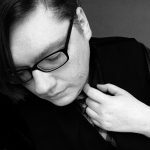 While the infamous group of NJPW and Ring of Honor stars have been at odds for months now – Kenny Omega and Cody Rhodes’ bitter rivalry threatening to destroy the faction from the inside – a far more insidious threat has been growing from deep down within. 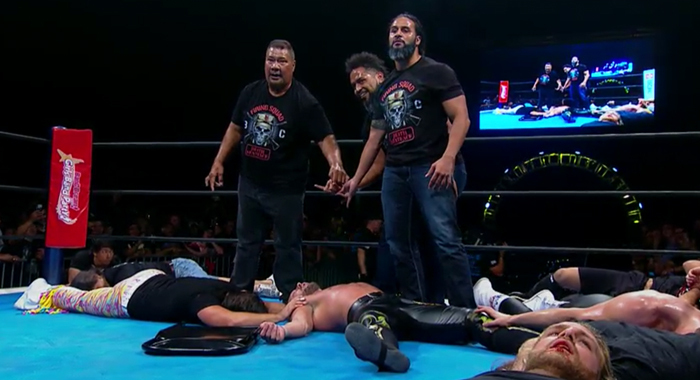 In the closing moments of Saturday’s G1 Special, Bullet Club original Tama Tonga, his brother and tag team partner Tanga Loa, and their father King Haku (aka Meng) stormed the ring and laid waste to Kenny Omega and the Young Bucks. When “The Villain” Marty Scurll and Hangman Page attempted to make the save for their teammates, the Guerrillas of Destiny attacked them as well. Even Chase Owens and Yujiro Takahashi, the “honorary Tongans” of the group, were taken out with steel chairs and left laying for dead. In the end, it all came down to Cody Rhodes. While it originally appeared that the “American Nightmare” would side with Tama Tonga and his new squad, he instead turned on the secessionists and attacked them with a steel chair. The numbers game was eventually too much for the former ROH World Champion, who was left laying alongside the rest of Bullet Club. The show went off the air with the Tongan trio posing on the ramp, and Tanga Loa screaming into the camera that the Bullet Club is a family without leaders, ushering in the era of The Firing Squad. It’s assumed that fellow original Bad Luck Fale will also remain a part of this new division, along with young Hikuleo and the newest member “Bone Soldier” Taiji Ishimori, who was (at least in story) hand-picked to be a member of the faction by Tama Tonga himself.